BMW launches second wave of electrification. BMW CEO Harald Krüger at the annual press conference in Munich announced not only “the biggest model offensive ever” but also affirmed the carmakers commitment to electric mobility. “There is no way back,” he said. And thus, all brands and series will be electrified. Generally, BMW’s management has reason to be happy these days. 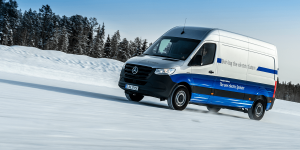 In Munich, it stated the seventh consecutive increase in both sales and profit. And yet, one got hooked on this one sentence by BMW CEO Harald Krüger: “We are on the attack now.” There is a small dent in the otherwise polished paintwork. After all, Mercedes has taken the crown of world’s largest premium manufacturer from the successful Bavarians. That did not sit well with Munich and said model offensive is to strike back. Different from Daimler and its attempt to catch up, BMW is eager to focus on electric mobility in its pursuit. And what was to be heard in Munich may echo in the ears of any friend or champion of electric transport. The BMW Group plans to sell 100,000 electric vehicles for the first time this year, which corresponds to approximately five percent of total sales. But there is more: 2019 will see the launch of the first all-electric Mini and the electric BMW X3, which Krüger described as “kickoff for our second wave of electrification.” This leads to the medium-term goal to offer all core models purely electric in a few years. 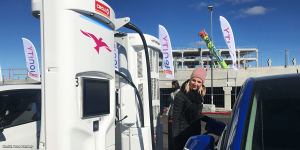 The groundwork has been laid already with the production base used for current plug-in models and the electrical share in sales shall ultimately “climb to at least 15 percent” by 2025. What sounds like a firework of announcements, that should be taken with a grain of salt, is backed-up by BMW’s know-how. No other German carmaker has tackled the topic more decisively than the Bavarians in the past. 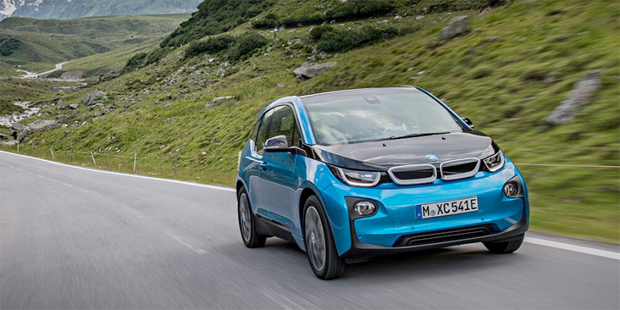 With the i3 and the i8, electric models have been developed from the ground up years ago. In Leipzig, a dedicated plant for the electric offering was built. In addition, one can be proud of an exceptionally deep vertical integration of components. Electric drives, converters and other parts required for electric propulsion, the competition orders from suppliers. BMW produces them itself and has accumulated a wealth of experience, which will certainly be of great help in the rapid electrification of the core series. 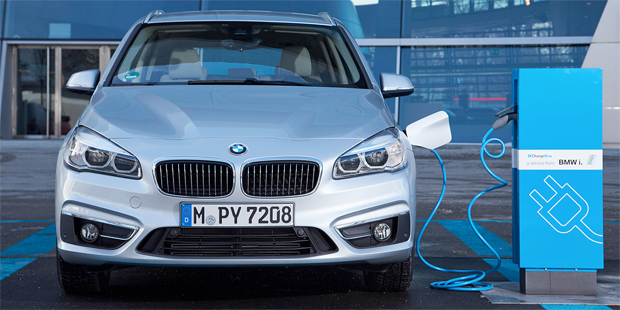 An often underestimated point may prove another turbo for BMW in the electric era. Different from the competition in Stuttgart and Ingolstadt, BMW has devoted its sales network to electric mobility at an early stage. Even if the term i-Agent seems a bit much at times, BMW has an ace up its sleeve. While at some dealerships it is hard to find anyone, who could explain charging concepts or battery details, BMW’s exclusive salesmen know. 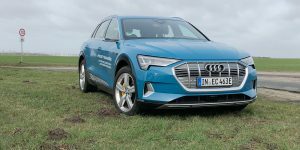 The author has heard many stories from customers, who failed to buy an electric vehicle from other German brands. At BMW on the other hand, the setting is right: In Berlin, for example, all three branches now have a DC quick-charger. Often there are additional AC charging points. It is this ecosystem for tomorrow’s electric shoppers the competition must still create. Nevertheless, the BMW board has not bagged a crystal ball to foresee the next decade’s exact drive mix. “A successful strategy for electrification must be able to cover both: optimistic as well as conservative scenarios,” CFO Nicolas Peter hence put it cautiously. 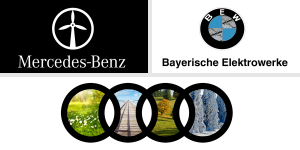 Yet, the Bavarian Group wants to adjust to a dynamic development of electric mobility. And in light of the debate about the future of diesel plus fine particle problems in petrol cars and the resulting driving bans in German inner cities, this is certainly not a bad idea. Particularly so since BMW already knows today what customers will expect from an electric car tomorrow. As is often the case, it is the details: BMW is the only German carmaker to offer an 11-kW AC charger for its i3 with larger battery, which allows to use the existing charging infrastructure very cost-effectively. Combined with fast DC charging via CCS, this is a unique selling point customers (and the author from personal experience) appreciate. 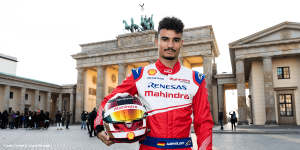 VW, Citroën, Tesla, GM, NextEV, Formula E.
Rauno Aaltonen, BMW i3, Nio EP9.